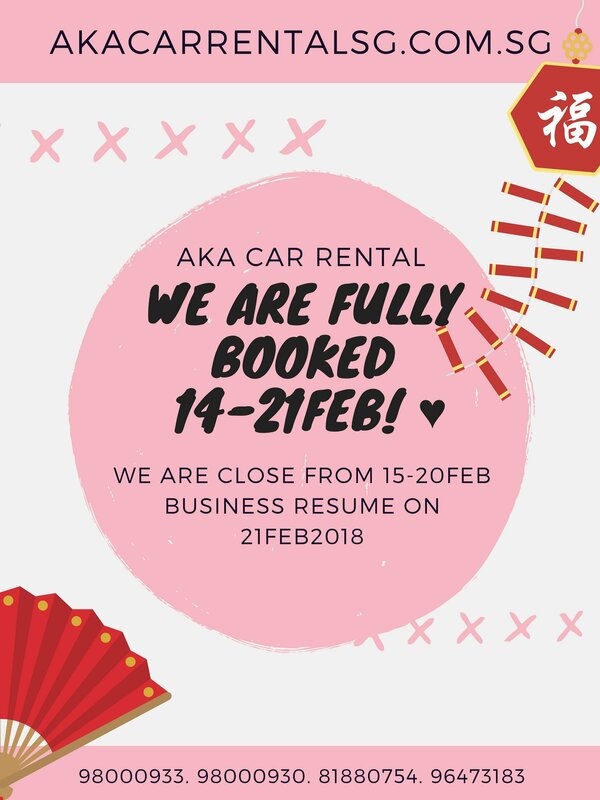 We are fully booked from 14 – 21 Feb for CNY. AKA Car Rental wishing all our families, friends and customers a Happy Chinese New Year! Wishing you and your love ones Happy & Prosperous New Year! Thank you for renting from AKA Car Rental!